After 24 hours of travel, I have arrived at the Las Campanas Observatory in the mountains north of La Serena, Chile (actually about halfway between La Serena and Copiapó on this map, just north of Santiago). I am glad that I have a night of rest tonight, because the weather is quite bad. The temperature (at 5pm local time) is 25 degrees F (-4 C), and thick clouds are slowly drifting just overhead. Over the past few nights they've had some ice here, and a thick layer of ice is on most of the plants. We'll have to see what things are like tomorrow! Blogging has been light because of a few days' vacation. Today I am starting the 24-hour trip to Las Campanas Observatory in Chile, where I will have four nights on the telescope. Hopefully I'll get some neat observations to share! Although I like to read a lot about studies of our solar system, my research focuses on stars and distant galaxies. So, despite havng done astronomy research for over a decade, today I submitted my first ever observations of asteroids. I did not set out to find asteroids. My collaborators and I took many deep images of the star cluster M67 in order to find white dwarfs. But when I was comparing images, I noticed something moving slowly through the cluster. The stars are all much too far away to move noticeably in a night, so it had to be something in our solar system. So, for fun, I went to the Minor Planet Center website and entered the coordinates of the object. Yes, it was a known asteroid, but they wanted more data! So, I prepared my observations and sent them in. I'm still waiting for a reply, but this could take a few days. I have discovered two asteroids in my images, and pictures of them are below. I've reversed the colors, so stars are black and the night sky is light (it is easier to see faint objects as black on white rather than white on black). The white bars are spaces between the silicon chips used to take the pictures. In each frame, north is to the right and east is up. These images were taken 45 minutes apart. The asteroids are the objects that move! The names are temporary designations used until the orbits are known well enough for the asteroid to get an official name. Hopefully my chance observations will help with that! How does this compare to astronomical times and distances? Time it would take to travel to the nearest big galaxy, the Andromeda Galaxy (about 2 million light-years away) at one mile per second = 380 billion years, or nearly 30 times longer than the Universe has been around! 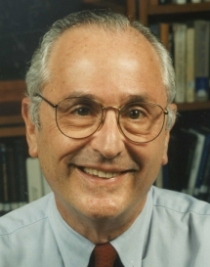 We learned today that astronomer Professor John Bahcall died Wednesday, August 17 due to a blood disorder. His obituary is given here. John Bahcall was famous for helping in our understanding of how the sun works, especially in regard to the mystery of neutrinos, nearly-massless particles that are created during nuclear reactions. The detection of neutrinos coming from the sun proved that nuclear reactions provide the sun's power. But, under the early thought that neutrinos were massless particles, we only detected 1/3 the expected number. Recently it has been shown that neutrinos do have a small mass, and complex physics then explains why we only see 1/3 the number (in short, neutrinos can change into other types of neutrinos due to quantum mechanics). Due in a large part to Professor Bahcall's work, we now understand the interior of the sun to very high precision. His contributions are enormous, and he and his mind will be missed greatly. I've spent time over the last few days trying to develop a naming scheme for galaxies my collaborators and I have discovered as a part of one of our projects. Unforunately, it's not quite as easy as picking out family members and pets to name the galaxies after. First and foremost, it's not allowed, and second, those names hinder our research work. The International Astronomical Union is, by agreement, the astronomical organization that officially names all objects. Most objects are designated by a catalog name and catalog number, but sometimes instead of a catalog number, the objects are numbered by there coordinates. For example, the Andromeda Galaxy is also known as M 31 (for the 31st entry in Charles Messier's catalog) and, much much much less commonly, as RX J0042.6+4115, for the ROSAT X-ray source at coordinates 00:42.6, +41:15. Our finished galaxy catalog may have 10,000 or more galaxies, far too many to name after all of our friends, family, pets, co-workers, competitors, and enemies. So, we'll be using catalog numbers, and naming the catalog after ourselves. (This is standard practice so that other people can find our papers talking about our search later, not so that we are immortalized.) As soon as the IAU approves our names, we'll be able to chug along! There are companies that, for a fee, claim to "name a star" after you or anyone else. Many people think that this makes a cool gift, which is fine. Just be aware that these names are not "official;" they are not recognized by the International Astronomical Union. So just be aware that if you do "buy a star" to name, you do not either own the star or get to officially name it. In fact, one person bought me one of these stars, and there was no star at the coordinates they sent me! But, since I also received a star map, I was able to find the right star in a real catalog and learn its real name, which was a boring catalog number. Today's Astronomy Picture of the Day was interesting for me, because it contains objects similar to those I study in my research: young open star clusters. My work involves looking for the remains of dead stars, stars that have burnt all of their fuel, called white dwarfs. White dwarfs are small, incredibly dense objects. Imagine taking the sun, which is almost one million miles across, and squeezing it into a ball the size of the Earth, which is only 8000 miles across! In the picture, toward the upper left, you can see a white dwarf in the process of forming. The small, green circle is a planetary nebula, or a star in the process of dying. A star which has used up all its fuel sheds it outer layers, leaving behind the hot, now-defunct nuclear reactor at its core behind. This core will quickly shrink to form the white dwarf, while the outer parts of the star slowly drift away into deep space. In addition to the question about small things in our solar system (see yesterday), the question of the definition of "planet" also extends to things larger than Jupiter orbiting other stars. The smallest "stars" are called "brown dwarfs," which are heavier than about 13 times the mass of Jupiter. Early in their lives, brown dwarfs do a little bit of nuclear fusion, burning deuterium (hydrogen with an extra proton) to make helium. But brown dwarfs are too wimpy to keep up nuclear fusion, and once all the deuterium is gone, the slowly cool off and fade away. Stars like the sun, on the other hand, get hot enough in their centers to continue nuclear fusion by burning normal hydrogen into helium steadily for millions, even billions of years. For things smaller than 13 times the mass of Jupiter, no nuclear fusion will ever happen. For this reason, some astronomers think anything this small or smaller should be called a planet. However, other people disagree. There are two ways to form objects this small. One is to form them like we think the planets of our solar system formed -- rocks and gas in a disk surrounding the parent star slowly build up to make planets. Some, like the Earth, would be pure rock, while others, like Jupiter, would have a rocky core with a very thick, massive atmosphere on top. Things that form this way would definitely be called "planets" by most every astronomer. The other way to form giant planets is similar to the way stars form -- a large cloud of gas breaks up and shrinks under gravity. This could happen in isolation, or in orbit around another star (this is how multiple star systems are formed). "Planets" formed this way do not have rocks at their center, but are just large clouds of gas. They would not even need to be in orbit around another star, but floating freely in space. So, are these "planets?" I think most people would say "no," but astronomers are split on the issue. The problem is that it is not possible to tell in which way a massive object formed. A 5-Jupiter-mass object detected around a star could have formed by either way, but it is virtually, if not fully, impossible to tell how it formed. For this reason, most atronomers lean toward a definition based purely on a planet's mass, not how it was formed. I read this morning that the Internation Astronomical Union (IAU), which by agreement among astronomers has the power to define and to name all objects in space, is finally going to decide on all of these issues. The IAU has been talking about this for years, but the discovery by Mike Brown and collaborators is finally pushing them to come to a decision. It seems to be typical politics that now a decision has to be rushed, especially since astronomers have suspected for years that the Kuiper Belt had objects larger than Pluto, and since many objects more massive than Jupiter have been found around other stars and floating free in space. The definition of a planet is likely to be an object that is too small to have ever undergone nuclear fusion, is large enough that gravity makes it round (instead of the potato shape of asteroids and comets), and that orbits another star. While I personally would like to include the way an objects is formed, I seriously doubt that can be part of a viable definition. With this definition, though, there would suddenly be many more "planets" in our own solar system, including a a handful of large asteroids and several objects in the Kuiper Belt -- as many as 23! Astronomers may just have to wait for pop culture to decide what a planet is. The discovery of a new object in our solar system larger than Pluto will once again re-open the debate, "What is a planet?" This question is especially tricky because the definition of the word "planet" is unclear on two ends, both the Juptier-sized objects being found around other stars, and large, icy bodies being found in our own Solar System. A big part of the problem, as articulated by Mike Brown, the co-discoverer of the new "planet," is that the word "planet" is not owned by scientists. Rather, the term "planet" also has cultural definitions that scientists cannot and should not control. Let's start with the nine (ten? more?) planets in our own Solar System. Nobody would claim that the Moon is a planet, but the Moon is larger than Pluto! So size is not the sole criterion. So you might say that a planet has to orbit the sun and not another body, but since nobody would call asteroids and comets "planets," this definition is not enough either. Finally, looking at the nine planets (Mercury through Pluto), Pluto is clearly the odd man out. Pluto is far smaller than any other planet; its composition is very different from any other planet; its orbit is not nearly circular, and its orbit rises out of the plane that all the other planets lie in. But Pluto's orbit and chemical makeup are very similar to the dozens of smaller "Kuiper Belt Objects" that orbit the sun beyond Neptune. Because of this, many astronomers want to "de-list" Pluto as a planet. But when astronomers try to do this, there is a huge cry from the public. In your eyes, Pluto is a planet. My suspicion is that, in time, astronomers will learn to live with the dichotomy between what astronomers call a planet and what the public calls a planet. Also, only time will tell whether the public will accept this new object and any more objects larger than Pluto as "planets." Stay tuned! Tomorrow we'll discuss the other side of the definition of "planet," the large objects around other stars.